Library reference staff are ready to answer your questions and guide you to the resources that you need. Email your question and receive an answer within one business day. 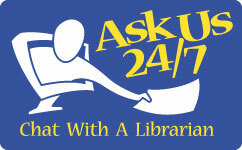 Live Chat with SU library staff or librarians across the country. Visit a service desk for in-person assistance.